There’s something uniquely awesome about chasing turkeys in the predawn hours. I love sneaking through the woods while the world is waking up and then having the silence break with thunders of gobbles in nearby trees. One of the great things about turkey hunting is it’s an “Everyman” hunt. Most of us will never chase Big Horn Sheep, but there’s no reason that anyone with a little desire cannot chase turkeys. 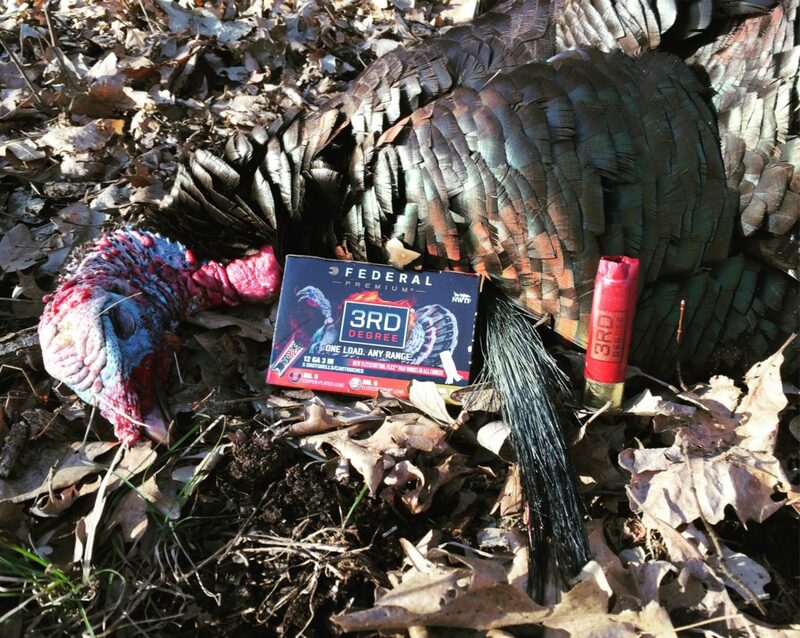 It’s reasonably easy to find land to hunt and you don’t need a ton of gear, but you will need a few basics: a gun, turkey loads, a call and a decoy. 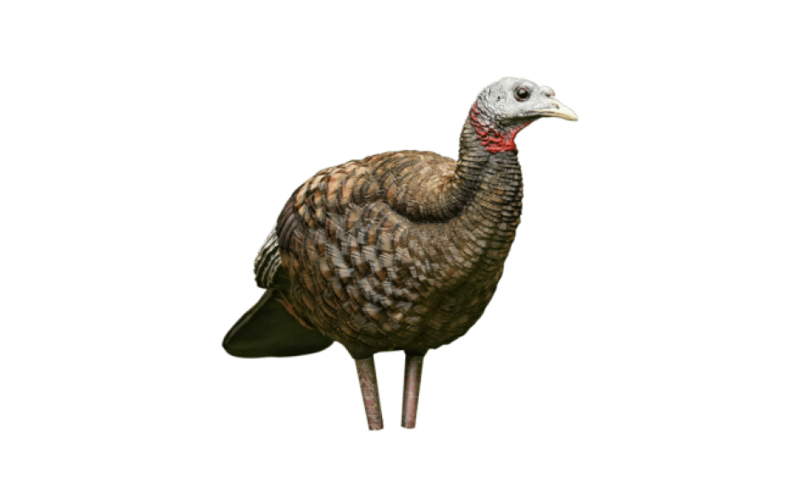 Here’s a list of my favorite essential turkey hunting gear that I used to bag my gobbler this spring. I think turkeys are getting smarter. When I started turkey hunting I had a foam decoy that loosely resembled the general shape of a hen turkey. It fooled toms all the time back in the day, but not so much anymore. Maybe its that more people are hunting these days and educating the birds. I’ve had to up my decoy game. They don’t come any more realistic looking than this Breeder Hen by AvianX. Despite what gun writers would have you believe, guns have not changed all that much in the last 20+ years. Ammo, on the other hand, has taken some quantum leaps forward in technology. 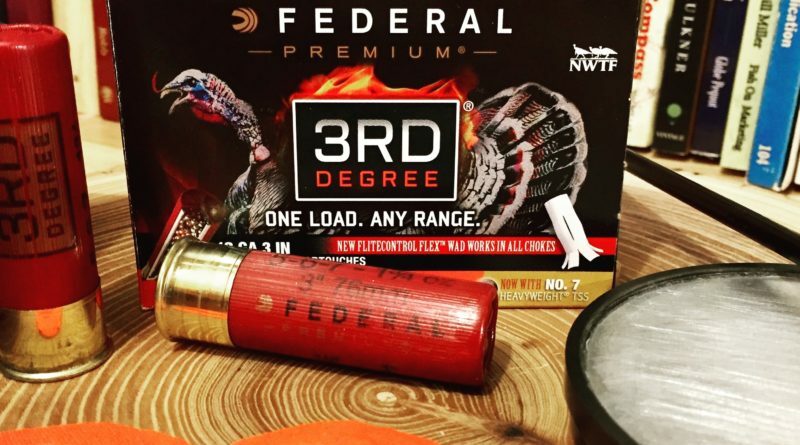 I’ve long been a fan of Federal Cartridge company, or Federal Premium as they’re known today. They have a rich history and have led innovation in the ammunition industry right here in my home state of Minnesota. The tactical bug never quite bit me. I’ve always admired nice wood and blued steel. 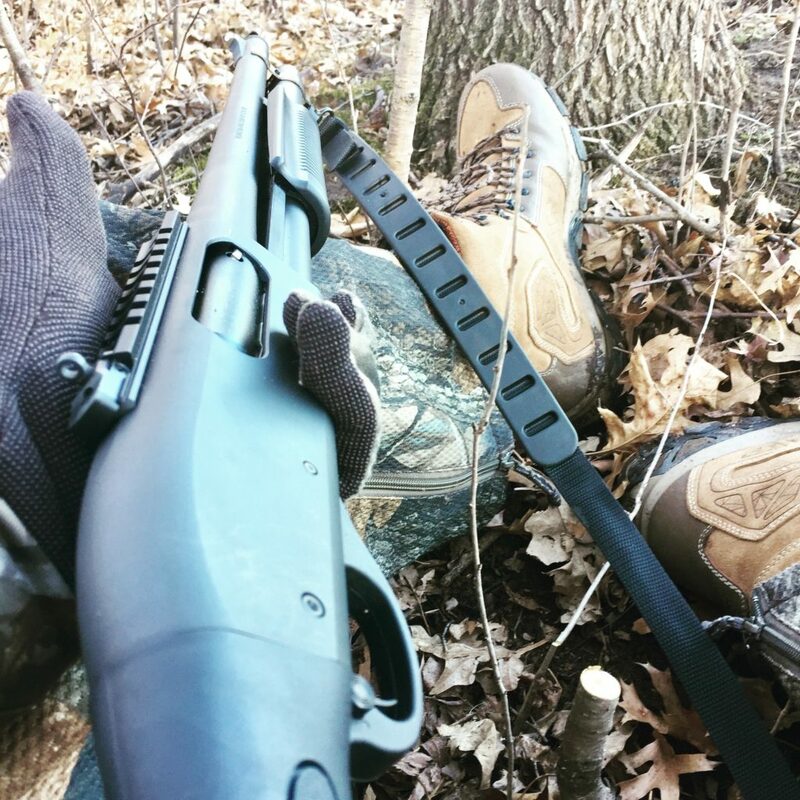 That said, you’ll be hard-pressed to find a better turkey gun than the Remington 870 Tactical. It’s a quick pointing gun with a short 18 1/2″ barrel that I find perfect for maneuvering in a blind or in the brush. Hopefully, you’ll never need its 7 rounds capacity, but you could load it up and not worry about carrying extra shells. 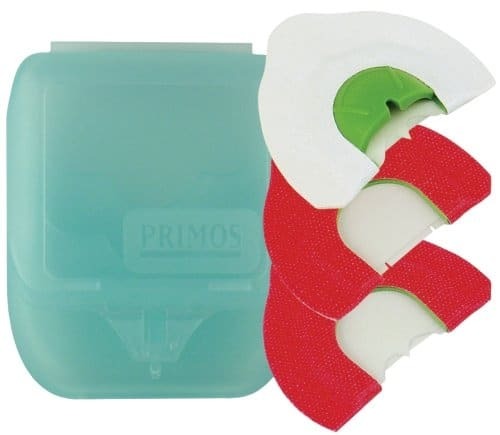 It comes with a “door-breacher” choke which is useless for turkey hunters but could be handy if your gun is going to do double duty as a home defense rig. I swapped the tactical choke for a Carlson’s Ported Extra full choke. 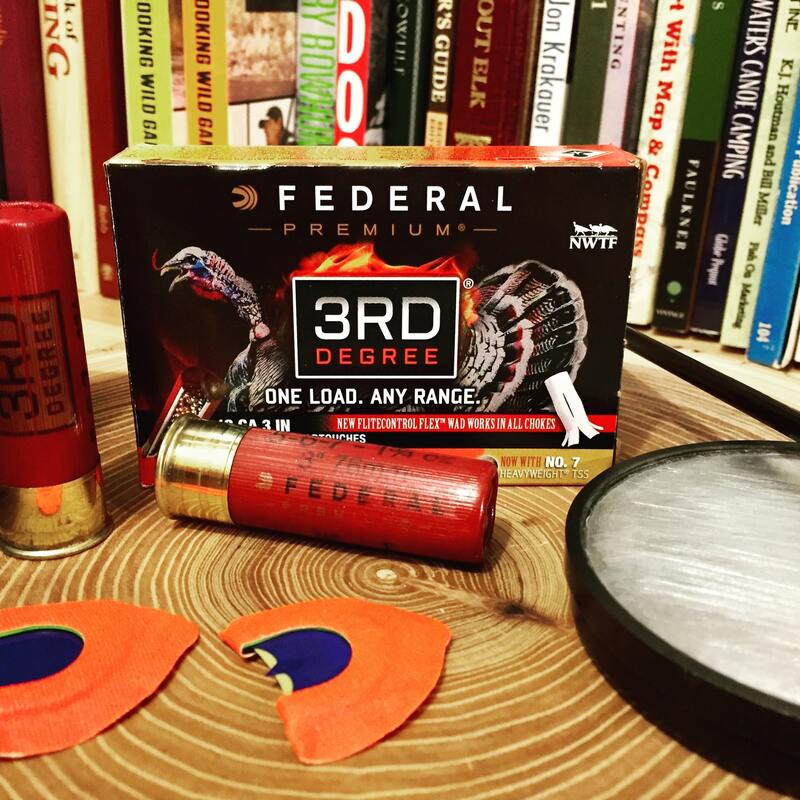 My high-test Federals kick like a mule as they squeeze through the tight choke, but it patterns very well. That was a rundown of my favorite essential turkey gear. Please comment below and share some of your favorite items for chasing Long Beards.